This book offers a new perspective on sociological studies of the consumer society, introducing neglected normative questions relating to the good life and human flourishing - subjects more commonly discussed in fields of moral, political, and social philosophy. 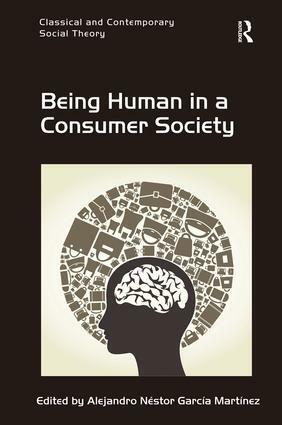 With attention to a wide range of subjects, including postemotional law and responsibility, dehumanised consumption and prosumerism, fashion, embodiment, conspicuous consumption, and sustainability, this book analyzes the structural and cultural transformations that can be identified in consumer society. It also offers a critical - but not pessimistic - view of the important question of whether consumption is leading to an increasing isolation, individualization or commodification of human beings, suggesting an analytical framework for understanding consumer culture and human praxis. Bringing together work from across disciplines by scholars in the US, Europe, and the UK to engage with questions concerning our globalized and globalizing world, where consumerism is a keystone for understanding our contemporary culture and its social structures, Being Human in a Consumer Society will appeal to scholars and students of sociology, social theory, and contemporary philosophy. Alejandro Néstor GarcÃ­a MartÃ­nez is Lecturer in Sociology, Social Theory and Theory of Organizations at the University of Navarra, Spain.